In view of several real estate projects either getting delayed or stuck, developers have called for setting up a stressed assets reconstruction fund to ensure that residential units are delivered on time. Demonetisation, Real Estate Regulation Act (RERA) and GST have cast the heavy burden of multiple transitions on the real estate sector. The NBFC crisis has resulted in a liquidity crunch for the Indian real estate sector with even loans that have been sanctioned facing difficulties in disbursement. CREDAI recommends a one-time restructuring of all real estate loans to enable the sector to emerge successfully from the multiple transitions, the realtors' apex body Credai said in a statement. 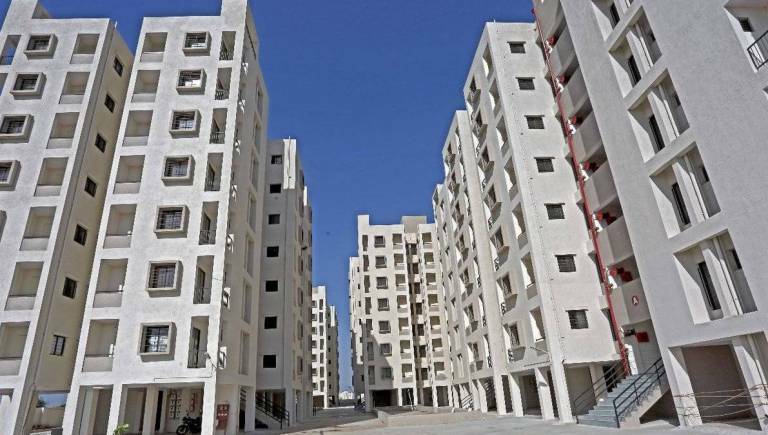 “Last mile funding for stalled projects through setting up of Stressed Assets Reconstruction Fund for real estate has become a necessity to ensure delivery of housing units to consumers,” it said at the second edition of the New India Summit held in Mysore, Karnataka. Over 1000-member developers and experts from the real estate sector from across the country attended the event that was inaugurated by Union Minister of Skill Development and Entrepreneurship Ananth Kumar Hegde. The body also recommended a one-time restructuring of all real estate loans to enable the sector to emerge successfully from the multiple transitions. It also demanded reduction in the GST rate for under-construction homes to 8 percent from 12 percent, besides single-window clearance for projects. “In view of real estate being subject to both GST and stamp duties, there is a case that the rate of GST on real estate which stands at 12 percent, needs to be reduced to 8 percent across all segments and not just for houses of up to 60 square meters. The current land abatement rate of 33 percent is also not adequate in case of metros where land costs up to 70 percent of the total cost of the unit," the grouping said in a statement. It also called for the implementation of a single window mechanism. “Lack of implementation of single window clearance in Indian realty is a major reason for the delay in projects. It will resolve critical operational issues in the industry and could also reduce real estate prices substantially,” it said. CREDAI President Jaxay Shah said the future of the Indian economy lies in these emerging regions, with Mysore being a testament to this belief owing to its rapid economic growth in the past few years. CREDAI's Chairman Getamber Anand said there is no doubt about the need for new urban centres to take the mantle for India's economic growth from the metro cities and put themselves on the map.